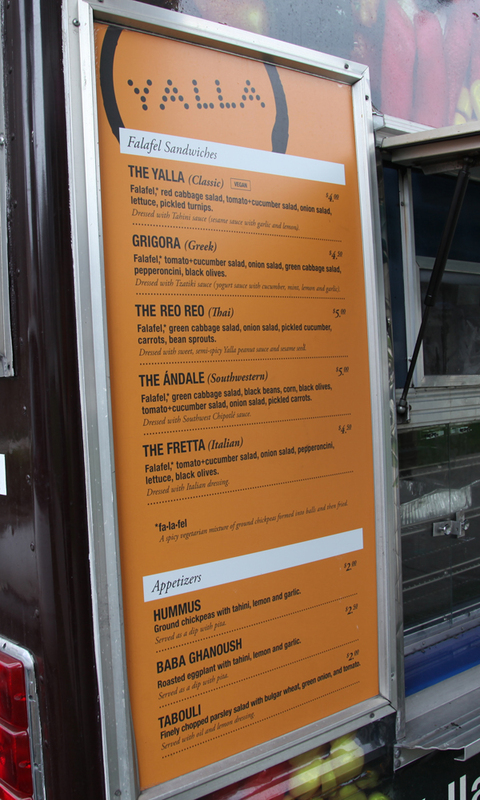 sad news: yalla truck now serving meat. sad news, my friends. 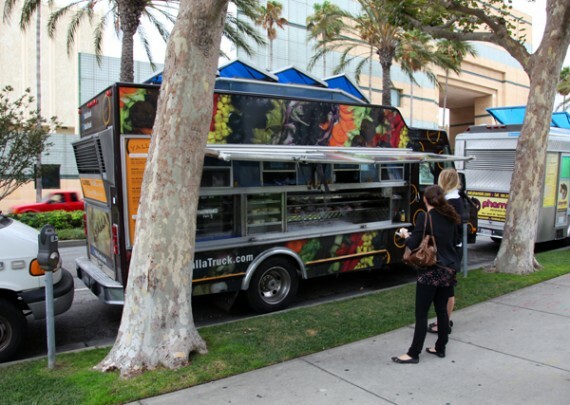 the old quarrygirl favorite, yalla truck, is no longer vegetarian. 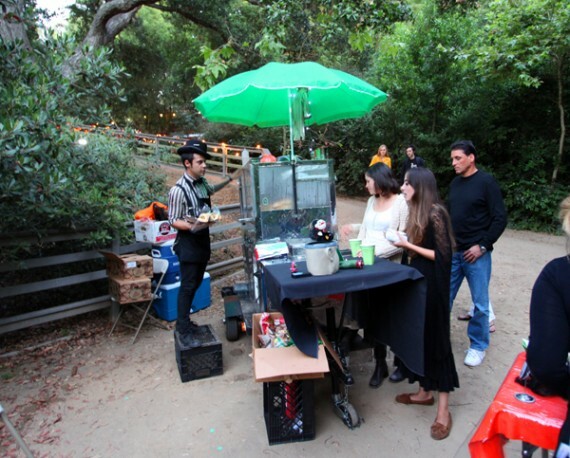 now, along with their delicious (and harmless) falafel, they are serving up full on bird flesh. 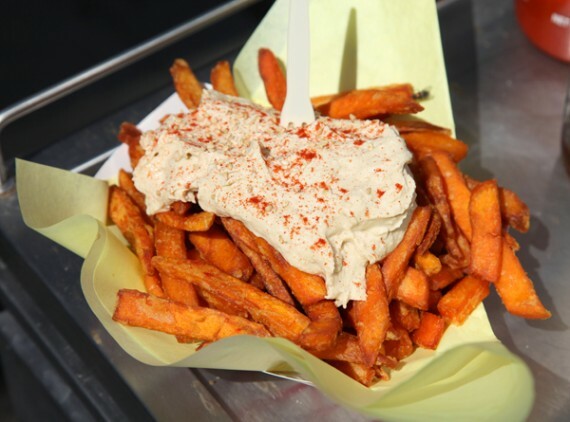 yalla truck: a vegetarian falafel truck in los angeles! 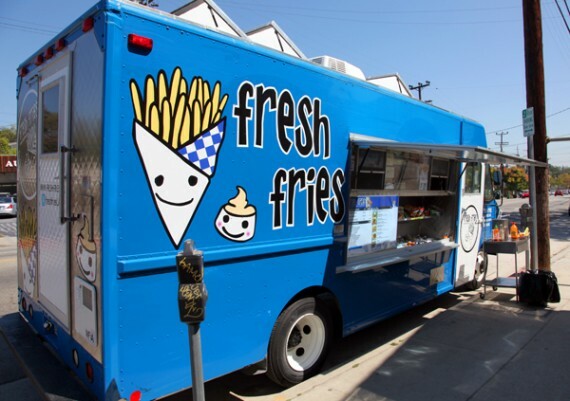 yalla is a new vegetarian food truck that has been roaming the streets of los angeles for a few months, and after trying their food yesterday, I AM SMITTEN. 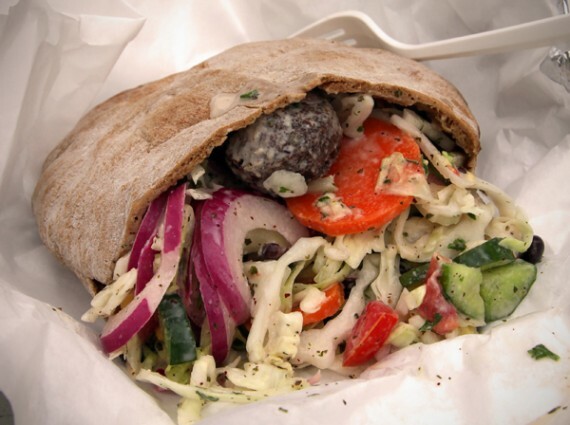 they specialize in “falafel fusion,” basically traditional falafel sandwiches with non-traditional ingredients. 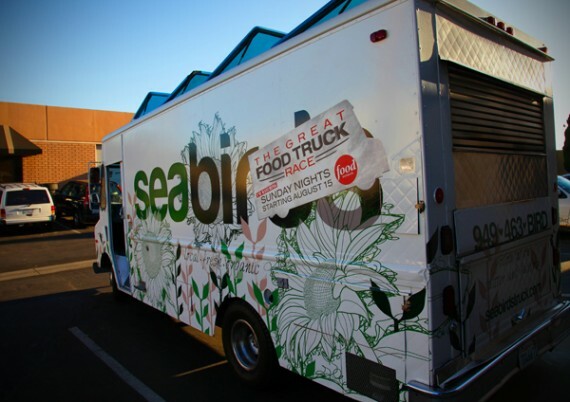 there’s no meat on the truck, and most of their ingredients are vegan…just be sure to specify when you order, and avoid the dairy sauces and feta cheese. i went with the ándale, a southwestern-style sandwich made with falafel balls, green cabbage salad, black beans, corn, black olives, tomato cucumber salad, onion salad, and pickled carrots. 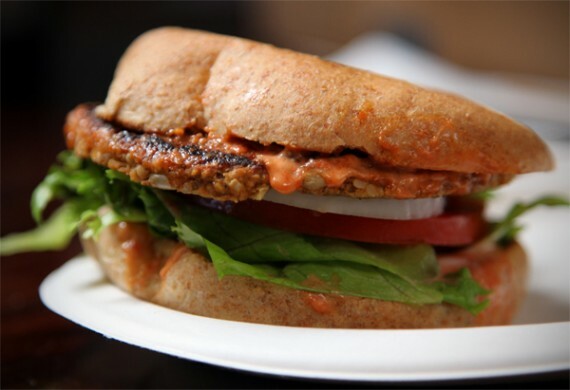 this sandwich normally comes with a creamy chipotle sauce, but the dudes at yalla were happy to swap that out for tahini to make it vegan. 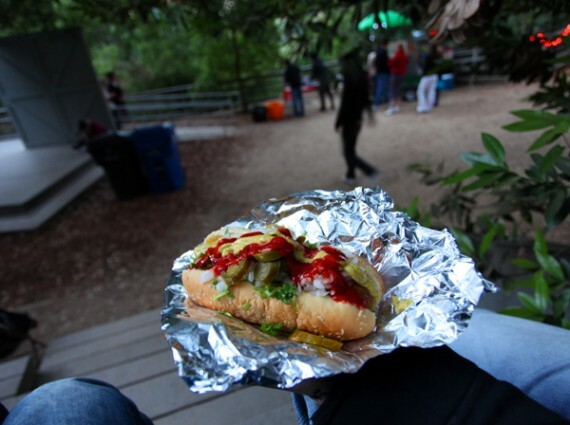 this sandwich was nothing short of fantastic! the falafels were of the little fried variety, not the big fluffy kind, and they packed tons of flavor. the toppings were absolutely excellent—as you can see from the picture above, yalla does not skimp on ingredients. my sandwich was absolutely overflowing with fresh vegetables, beans, salads, and rich tahini sauce. i had to eat it with a fork! SO GOOD. i honestly cannot WAIT to return to yalla and try out even more of their stuff. 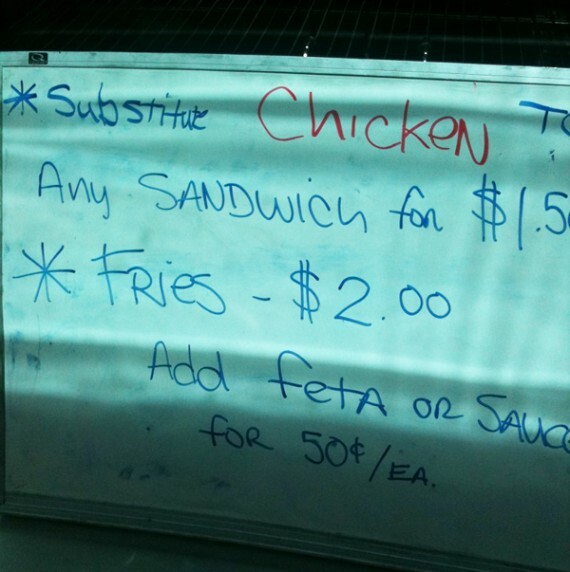 they have a menu posted on their facebook page that’s even bigger than the one posted outside the truck. 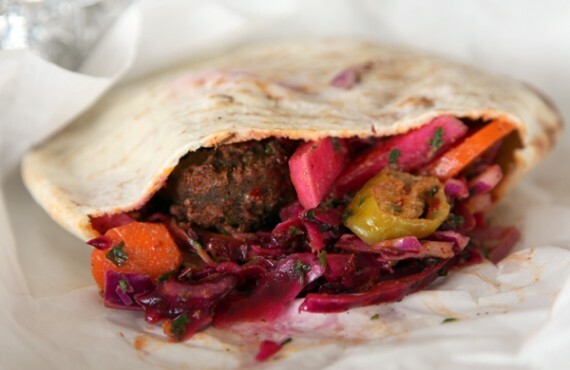 i don’t know about you, but i’m dying to eat the “firestarter”—falafel, red cabbage salad, pickled turnips, pepperonchini, onion salad, and pickled carrots. 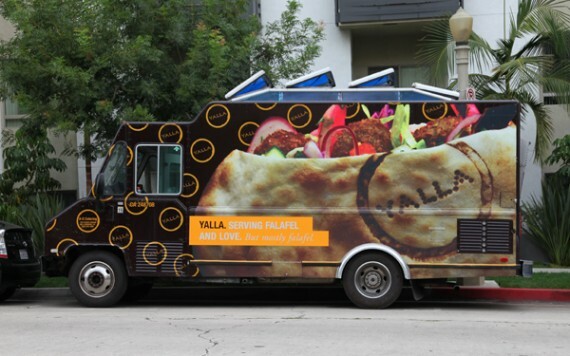 follow yalla on twitter for their whereabouts, and hit them up for some falafel as soon as you can. 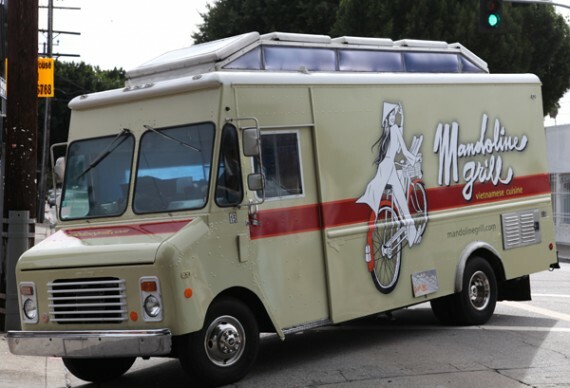 i was highly impressed with their food, and i think you will be too. 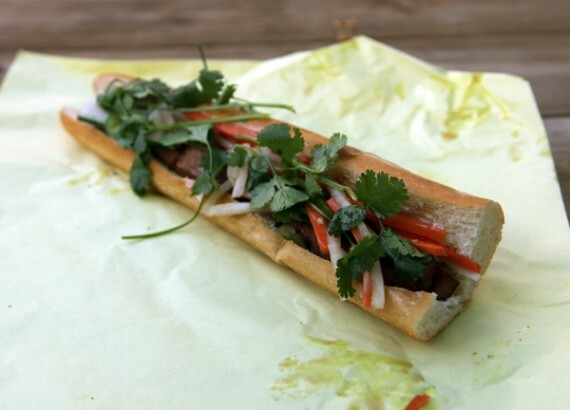 and remember, specify that you want it made VEGAN.